Message from your director, Judith Brooke (usually found behind the piano!! 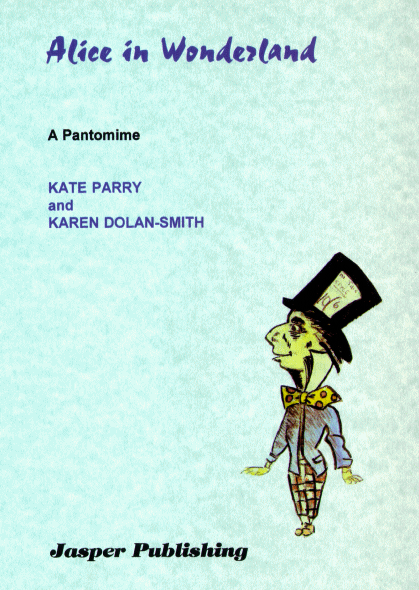 ): The Pantomime for 2013 will be Alice in Wonderland written by Kate Parry and Karen Dolan-Smith. Readings will be on Monday 18th June 2012, 7:30pm at the MI, opposite the rec in Western Road in Hailsham. If you would like to read the first few scenes to get a flavour of this pantomime, click here. Auditions will be on the following Tuesday 26th June 2012, 7:30pm at the Methodist Hall, opposite The Grenadier in Hailsham. Judith looks forward to seeing you all. New faces welcome, please spread the word.